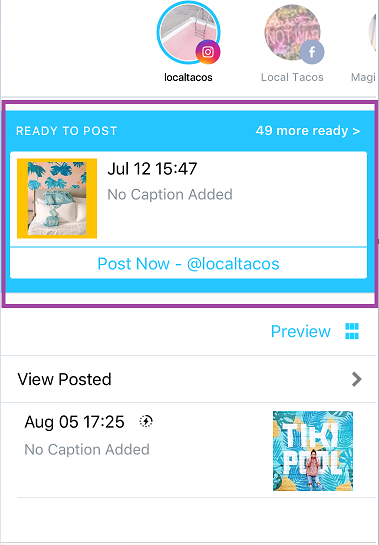 With Later, you can choose to have your posts scheduled for Instagram publish automatically or you manually publish it through a notification sent to you at the time you scheduled it. Note: Some posts on Later cannot be auto published, posts for personal Instagram profiles and carousel posts need to be manually published through a notification. Click "Open the Post in Instagram"
Hit Publish in Instagram. Done! If your post has past its scheduled time of publishing or you did not get a notification, you can find your post in the "Ready Posts" section of the mobile app. Click "Open the Post in Instagram".